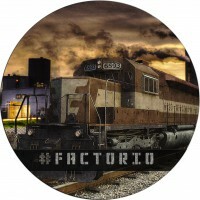 Factorio обновилась до 0.11.18 версии! Скачать игру можно на нашем сайте. Blueprints can be built over things marked for deconstruction. Blueprints can be force placed using alternative build mode (shift click). Increased the cargo wagon inventory size (20->30). Increased the crafting cost of the cargo wagon and locomotive. Fixed save corruption (rare probability) related to rendering alerts and saving the map. Fixed crash in map editor when changing / setting assembling machine recipe (viewtopic.php?t=8997). The flamethrower fluid input order is the same as before, so it matches the refinery outputs. Fixed clearing the cursor while attempting to repair something (viewtopic.php?t=8986). Fixed that changing force of roboport (in map editor or by a script) didn’t update the connections properly. Roboports now behave correctly when teleported using scripts. Fixed that some of the technology icons were scaled down in the technology selection. Fixed that the Not minable checkbox was set based on the Indestructible value in the map editor. Fixed copy-paste for Cargo wagons not activating inserters. Fixed copy-paste for entities with inventory limits not copying the limit. Fixed that the “Electric demand satisfaction” label was not translatable. Removing and merging the locomotive of a train without any additional locomotives doesn’t clear the schedule anymore. The line height in the debug info is dependent on the scale, so they don’t overlap or take too much space on different scales. Fixed weird behaviour and bad damage calculations when colliding with multiple objects while in a car or tank. Small change of collision box of curved rail, so the underground belts can be built on one additional particular position. Fixed that non valid require did crash the game instead of giving proper error message. Setting technology as finished using the script also fires the ontechnologyresearched event. Added onresourcedepleted – called when a resource is depleted to its minimum yield or 0. Passes the resource entity as event.entity. Car prototype now uses “energy_per_hit_point” instead of “crash_damage_multiplier”, consistent with train prototypes. Moved the player hit tint color into the player prototype. Увеличена стоимость крафта грузового вагона и локомотива. Исправлена порча сохранения (низкая вероятность), связанная с отображением оповещений и сохранением карты. Исправлена ​​ошибка, в редакторе карт при изменении / настройки рецепта в сборочном автомате (viewtopic.php? Т = 8997). Топливо для огнемёта стало таким же, как и раньше, чтобы она соответствовала производству нефтеперерабатывающего заводы. Исправлена ​​”очистка” курсора при попытке отремонтировать что-то (viewtopic.php? Т = 8986). После изменения силы робопорта (в редакторе карт или с помощью скрипта) связи не восстанавливались должным образом. Робопорты теперь ведут себя правильно, после перемещения с помощью скриптов. Некоторые иконки технологий были уменьшены при выборе технологии. Исправлено что флажок “не добываемый” был установлена как неразрушимый, в редакторе карт. “Копипаст” грузовых вагонов не активировал манипуляторы. “Копипаст” объектов с ограничениями в инвентаре не копировал сами ограничения. Строка “Electric demand satisfaction” теперь доступна для перевода. Снятие и присоединение локомотива к поезду без каких-либо дополнительных локомотивов теперь не очищает расписание. Высота строки в отладочной информации зависит от масштаба, поэтому они не перекрываются или занимают слишком много места при различных масштабах. Исправлено ​​странное поведение и неточности в расчётах повреждений при столкновении с несколькими объектами на автомобиле или танке. Небольшое изменение collision box’а изогнутой железной дороги, так что подземные конвейеры могут быть построены на одной дополнительной конкретной позиции. Добавлено “onresourcedepleted” – вызывается, когда ресурс будет исчерпан до минимального количества или 0. Передает объект ресурса как event.entity. Автомобильный прототип теперь использует “energy_per_hit_point” вместо “crash_damage_multiplier”, в соответствии с прототипами поезда..
Factorio обновилась до 0.11.17 версии! – Autosaves in multiplayer are performed at the same time by all clients (interval is set by hosting player). – Progress bar is shown when non-responsive peers are about to be dropped from the game in the Multiplayer. – Progress bar is shown when other peers in multiplayer are saving map. – Items dropped by the enemies are collected automatically (without the pressed f) and from bigger distance. – Better construction robot strategy. When the construction is processed, the closest available supply of the required item is found and the closest robot to this supply is selected for the construction. – The game shows name of other players above their head. – Increased the stack size of straight rail (50->100). – Fixed desync issue related to removing of active entities. – Fixed desync issue related to blueprint with more than one icon. – Don’t get stuck in Multiplayer when left alone downloading the map. – Desync report in multiplayer is generated in parallel avoiding desynced player being dropped. – Fixed that the train didn’t continue when it crashed to something (typically player) while breaking for signal/station. – Fixed that the technology ingredients weren’t sorted. – Unified the rail align of signal to the diagonal rails (//www.factorioforums.com/forum/viewtopic.php?t=8697). – Fixed another updater post-update logic error on windows. – Fixed crash when autosave happens immediately after loading a multiplayer map as a new player. – Fixed that the order of products in the recipe is now specifiable by the lua definition the same way as the ingredients. – Fixed that saves with corrupted energy sources because of the double entities problem in 0.11.16 are not loadable now. – Fixed electric energy logic, so it is handled properly when the electric poles /electric machines are moved (mod related). – Fixed that rail signal disconnected from rail didn’t show health bar and deconstruction icon. – Fixed crash when clicking into gui in replay mode. – Fixed crash when removing rail under train in map editor or from a script. The train on the rail is destroyed in that case. – Fixed wrong saving directory in the non-hosting MP client(//www.factorioforums.com/forum/viewtopic.php?f=7&t=7808). – Progress bars in Multiplayer (loading map, autosaving, etc.) don’t overlap but instead stack. – Fixed missing exexcutable permissions in linux tarball. – Fixed minor issue with generated map even size being rounded up (//www.factorioforums.com/forum/viewtopic.php?f=7&t=8807). – Electric turret shows energy consumption properly depending on the shooting speed upgrades. – Fixed the crash when autosave is triggered while the computer is locked. The game will be saved without the preview picture in this situation. – Fixed that the small electric pole has wire reach 7.5, but the game was showing 8 in the tooltip. – Fixed the tank controls, as it could start to break when it hit someting. The tank doesn’t get stuck when plowing through stuff now. – When the player data file gets corrupted, the file is ignored and the game can be still launched. – Fixed that furnace can be modded to have no output/input inventories without the game crashing. – Increased the pathing penalty for non-moving train in manual mode from 200 to 1000. – When building/selecting rail signal, the connected rail is shown by the green selection box. – Added verbose logging option in other settings. This adds extra logging for the Multiplayer. – Fixed that the access luaPlayer/luaGuiElement and luaGuiStyle could result into crash when the corresponding player was removed. – Trigger effects of type create-entity now have a property “show_in_tooltip” which determines if the creation of the entitie(s) should be shown in automatically generated tooltips. – Added LuaTechnology:: upgrade, prerequisites, researchunitingredients, effects, researchunitcount, researchunitunergy read. – Moved radar nearby scan range into the prototype. – Moved the night vision tint color into the night vision equipment prototype. – Fixed game::alwaysday read not returning anything. – entity.teleport is no longer permitted for walls, transport belts or entities with fluid boxes. The method returns false in this case. На Русском языке(любительский перевод основных пунктов). Без багфиксов и скриптов! – Автосохранение в мультиплеере выполняется одновременно для всех игроков (интервал задаёт хост). – Прогресс-бар отображается когда “не отвечающие” игроки близки к исключению из сетевой игры. – Прогресс-бар отображается во время сохранения карты другими игроками. – Предметы с убитых врагов собираются автоматически(без нажатой кнопки “f”) и с чуть большего расстояния. – Улучшенная логика строительных роботов. Во время начала строительства, когда хранилище с необходимым предметом будет найдено – ближайший к этому хранилищу робот и будет выбран для строительства. – Над головами игроков теперь отображаются их имена. – Увеличен размер стека прямых рельс (c 50 до 100). – Увеличен “штраф резервирования путей” для не-движущихся поездов в ручном режиме с 200 до 1000. Долго собирались мы перейти на “собственную” площадку, где мы могли бы реализовать всё что планировалось когда-то ранее. И вот, домен Factorio.su зарегистрирован, и начинает потихоньку заполняться всем необходимым.